How to Upload Blu-ray Movie to YouTube with Best Quality? Home » How to Upload Blu-ray Movie to YouTube with Best Quality? YouTube has an amazing 1.3 billion users, with 5 billion clips watched every day. This should come with no surprise – everyone of us has the ability to upload videos. Apart from carrying a Flip video camera, it is more feasible for you to use an iPhone, iPad, Android phones to capture the moment wherever you are, and then upload the footage straight to YouTube so that you can share with all of your friends around the world. Despite the large number of digital devices, you may have bought some Blu-ray movies and would like to extract some clips off Blu-ray to put onto YouTube. This guide provides a walkthrough to help you upload Blu-ray to YouTube with best quality in just a few minutes. Part 3: How to Convert Blu-ray to YouTube? Part 4: How to Upload Blu-ray to YouTube? Uploading Blu-ray movies will require a process called "ripping". You need to get a ripping tool to extract the movie from the Blu-ray Disc, turn it into a digital file and then convert it to YouTube supported formats and parameter settings. Let’s take a look at the best YouTube uploading formats and settings before starting ripping and conversion process. Frame rate Common frame rates include: 24, 25, 30, 48, 50, 60 frames per second (other frame rates are also acceptable). Interlaced content should be deinterlaced before uploading. Resolution and aspect ratio YouTube uses 16:9 aspect ratio players. If you're uploading a non-16:9 file, it will be processed and displayed correctly as well, with pillar boxes (black bars on the left and right) or letter boxes (black bars at the top and bottom) provided by the player. Video Length By default, you can upload videos that are up to 15 minutes long, but you can upload longer videos by following the steps below to verify your account. 1. go to the upload page at youtube.com/upload. 2. At the bottom of the page, click Increase your limit. You can also go directly to https://www.youtube.com/verify. 3. Follow the steps to verify your account. You can choose to receive a verification code through a text message on a mobile phone or an automated voice call. 4. Once you've verified your account, you can upload videos that are longer than 15 minutes long. To get things easier, you will need a professional Blu-ray to YouTube converter to do some format conversion and profile setting adjustment before performing the Blu-ray movie uploading process. In this part, a professional and best Blu-ray to YouTube Converter will be introduced. Pavtube Video Converter Ultimate for Windows/Mac(reivew) is such kind of Blu-ray to YouTube converter that not only helps to convert various different media types including Blu-ray/DVD disc or 4K/2K/HD/SD video to YouTube compatible formats listed above, but also enables you to get the best YouTube uploading settings by flexibly tweaking the output video codec, resolution, bit rate, frame rate or audio codec, sample rate, bit rate or channels in its built-in profile settings window. Now just download and install the best Blu-ray to YouTube converter to start the first step of uploading Blu-ray movies to YouTube: How to convert Blu-ray to YouTube? 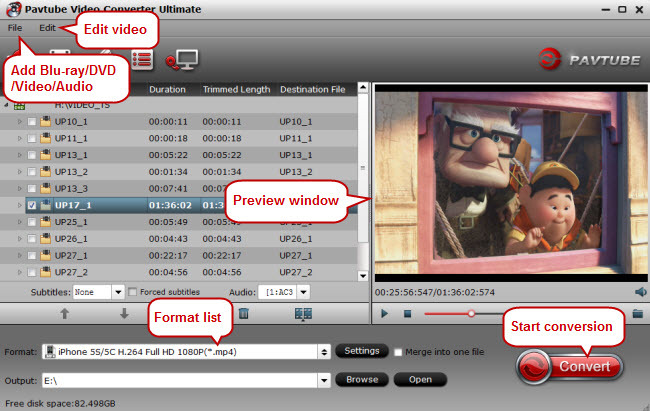 Windows Version Pavtube Video Converter Ultimate taken as example, Mac Version share the same steps, just keep in mind you have download the right version. After launching this Blu-ray Ripper, you could click "File" button to load source Blu-ray movies. You could load Blu-ray disc, Blu-ray Folder and Blu-ray ISO Image File as you need. 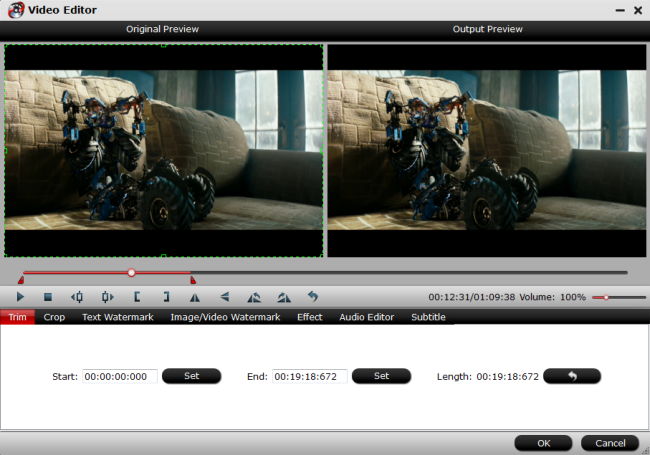 After loading source Blu-ray movies, you could select subtitles and audio tracks from source Blu-ray movies by clicking the Subtitles and Audio tracks drop-down list. Click "Format" bar, from its drop-down options, choose YouTube best compatible uploading format from "Common VIdeo" > "H.264 High Profile Video(*.mp4)". 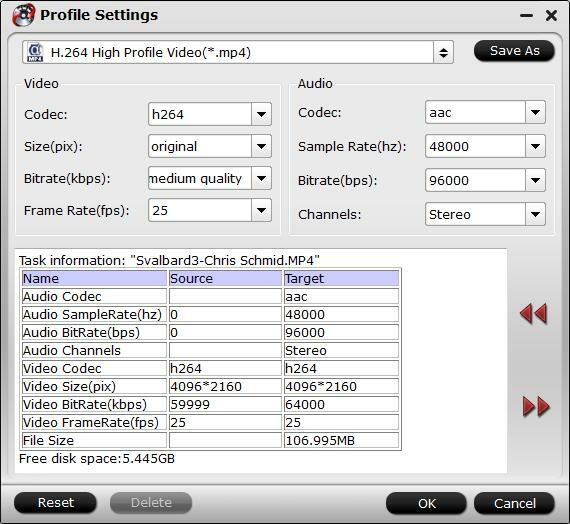 Click "Settings" to open the "Profile Settings" window, here you can adjust the output video codec, resolution, bit rate, frame rate and audio codec, bit rate, sample rate and channels to let them fit YouTube. Click pencil-like button "Edit", in the opened video editor window, you can trim video file length, adjust aspect ratio, add watermark, apply special rendering effect, remove/replace audio in video or add external subtitles to video, etc. Click the red “Convert” button under preview window to rip Blu-ray to H.264 MP4 with best parameter settings for Youtube. Once the conversion finished, tap “Open output folder” to locate your converted files. Now, you’re able to share the converted Blu-ray videos with your families and friends on Youtube without hassle. 2. Click "Create Account" button, or the smaller link with the same name at the top right of the page. 3. Fill out the form with your personal information. If you have a Gmail address, entering it as your email address in this form will save you some time later. When you're done filling out the form, click the "I Accept" button. 4. Now you're signed up and should be automatically signed in. You'll know if you're signed in if you see your YouTube account name in the upper right corner of the screen. If you don't, you should see a "Sign In" link up there. Click that, then sign in with your new YouTube username and password. 1. To the left of your username, you'll find a link called "Upload." Click on that. 2. A new page will load and you'll be presented with two options. 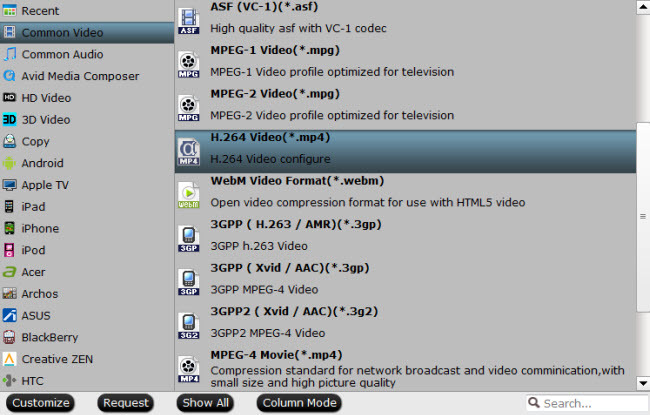 The first option is a yellow button labeled "Upload video" and a link titled "Record from webcam." You want to click the "Upload video" button. 3. Then a new window pops up that will let you select a file from your hard drive. Select the ripped Blu-ray movie you want to upload and click the "Choose" button. 4. The movie will start to upload and you'll see its progress as well as a bunch of other options. While the video is uploading you can change the name, add a description, set your privacy options, and fill out other relevant information. 5. Once the video has finished uploading it will need to spend some time processing on YouTube's servers before it is ready for viewing online. You'll be able to watch it process at the top of the page. Once it reaches 100%, you'll see a link at the top of the screen that you can click to view your video. Alternatively, you can always find your videos by click on your username at the top left of the page and then choosing "Videos" (which may be labeled as "My Videos" for some accounts). This will let you access all the videos you have uploaded. 6. When you're on your video's page, you'll be able to watch it and share it. You'll find a button labeled "Share" underneath the video that will provide you with a link to send to other people and a few other sharing options, such as email and Facebook. Congratulations, you've just uploaded Blu-ray movies to YouTube. Now that you know how it works, you should have no trouble doing it again and again.